Tiny living leaves you living completely self-efficiently. What a better way to continue this route than by growing your own food? Having your own vegetable garden can leave you eating good, and feeling better about yourself. Here are 5 awesome vegetable garden ideas for your tiny house. 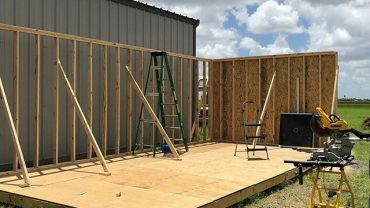 Trellis Frames can grow on the outside of your tiny house without damaging the walls. With a trellis, you can create a wall of tasty vegetables. 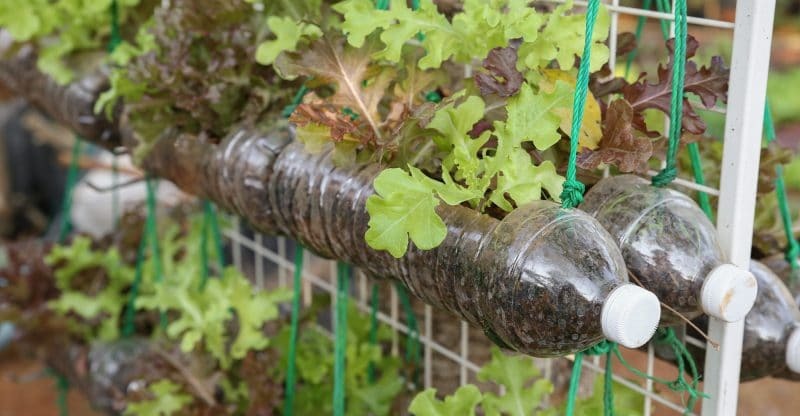 You can even use rain gutters to grow some plants with shallow root systems. When it’s time to move you can detach them and take them with you. Tiny floors don’t exactly have much floor space, so like with the trellis, it’s time to use the walls. You can hang a pallet on the outside of your home and you can grow a nice little herb garden for yourself. Certain plants grow in a vertical garden better than others. Do your research before you get started. Containers are more of the traditional method that you’re probably used to. If your tiny house has steps or a small porch, you can put your plants in containers or pots on the steps. Containers are an easy option for beginners because it’s really basic. Most plants can grow easily in a container, and it’s easy to move when you decide it’s time for a change of scenery. Make sure that there are drainage holes in the bottom of the pot because plants will die if they have too much water. Before you pick a spot, time how much sun the spot will get throughout the day. Make sure to also add fertilizer to the pot. If you put several hooks up in your home, you can use those hooks to hang your containers. Hooks are inexpensive and can fasten right in the ground, roof, or porch. Hanging pots allow you to utilize vertical space and have the benefits of growing vertically. It’s the best of both worlds, and it looks really cute. Starting a compost is the most eco-friendly of the options that you have. It helps you reduce the amount of waste that you have each week. You can purchase a bin from a gardening store. Composts add valuable nutrients to your plants. You can add quite a few things to it like, fruit and veggie scraps, eggshells, coffee grounds, tea bags, newspapers, lint, many things you toss out every day. There are many more fun things you can do with a tiny house other than gardening. Visit our blog for all the things you need to know before you start tiny living. The tiny house movement is all about sustainable, eco-friendly living. It’s financially better than doing a million mortgage payments on a house. You can continue living the cheap life, by growing your own food. Use these vegetable garden ideas for your tiny house and you’ll be eating fresh food in no time. For more of the history of tiny living, read more here. Coze Living Copyright © 2019.